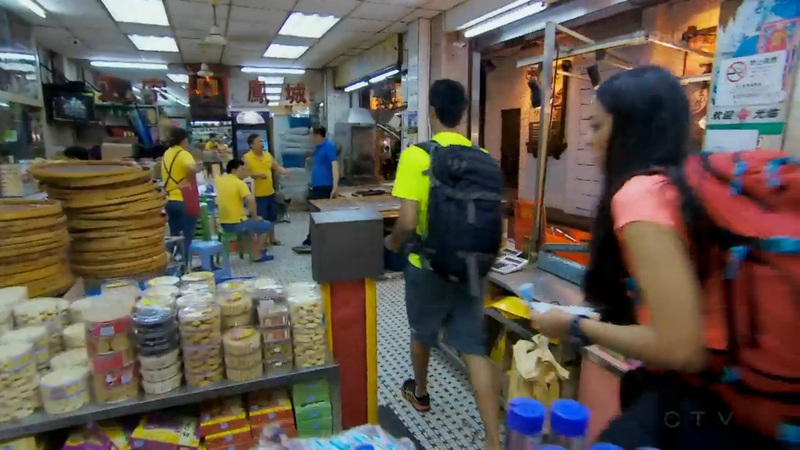 Recap: The Amazing Race Canada 2, Episode 4 – "You want to be the girl or the boy?" Teams begin the 4th Leg of the Race by hopping on a high speed ferry to Macau. There is a sign-up sheet at the TurboJET ferry terminal for two ferries, leaving at 4pm and 4:30pm. On the first ferry are Natalie & Meaghan, Cormac & Nicole, Ryan & Rob and Pierre & Michel. On the second ferry are Alain & Audrey, Mickey & Pete, Rex & Bob and Sukhi & Jinder. 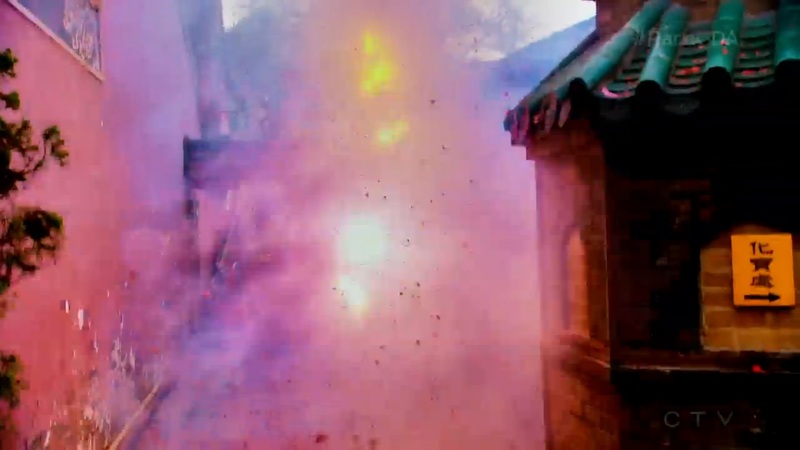 Once teams arrive in Macau, they must head to the A-Ma Temple and take part in a traditional Buddhist ceremony to ward off evil spirits by lighting a string of firecrackers. At the line for the taxi, Natalie & Meaghan work their charm on the man at the front, allowing them to bypass the queue and hop in a cab first. Pierre & Michel try to just cut in line, but Cormac & Nicole who are next in line will not have any of that. 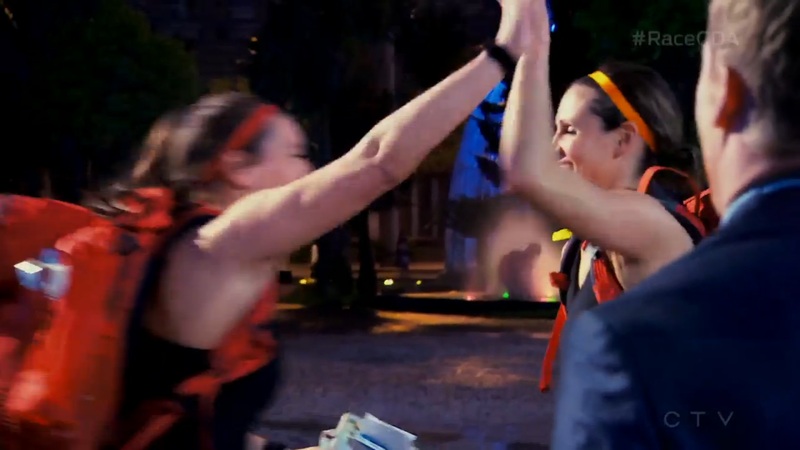 Natalie & Meaghan stay in the lead and after they complete the ritual, they must head to Macau Tower. The other three teams are close behind as the 2nd ferry arrives. 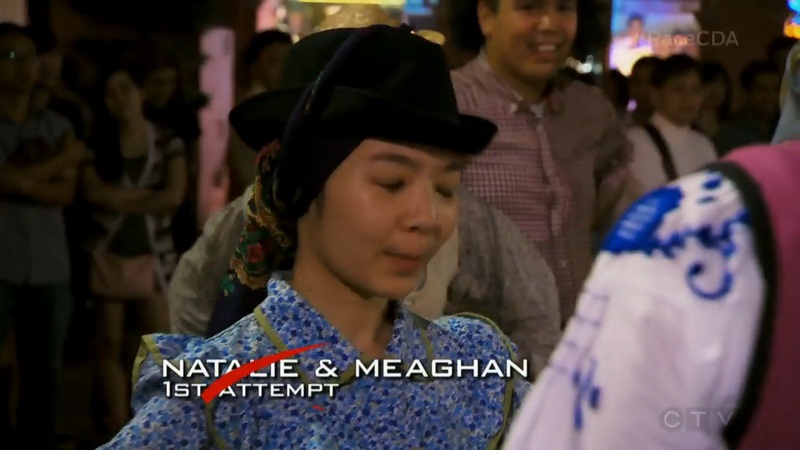 Natalie & Meaghan arrive at Macau Tower and find the Road Block. 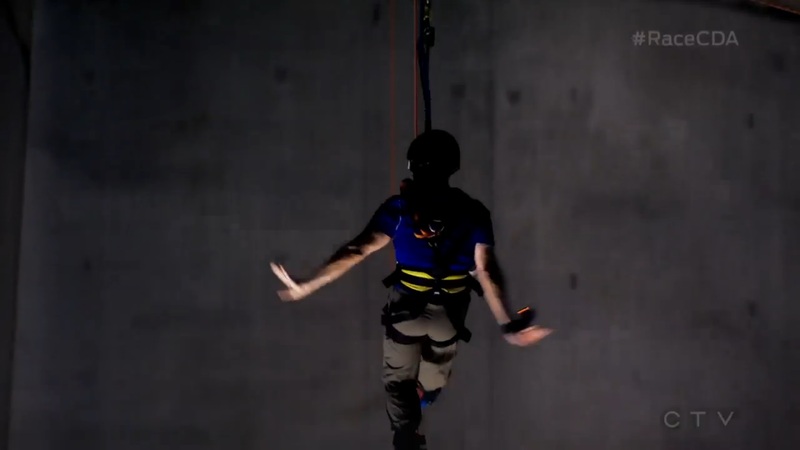 For this Road Block, teams must jump 764 feet off the Macau Tower in the world’s highest bungee jump. Meaghan decides to do the Road Block and they finish before any other team even arrives. They open the next clue pointing them to the shop selling almond biscuits on Happiness Street. Michel, Cormac and Rob just start to fall out of the Tower as the 2nd ferry teams just finish the ritual at the temple. They all hurry to hop into taxis and Jinder, (a pantsless) Mickey and Rex manage to catch up at the Road Block. Alain & Audrey fall to last as they decide to run it instead of waiting for a taxi. Natalie & Meaghan are having trouble finding the biscuit shop. Pierre & Michel, who hope to get the extra Express Pass, propose they work together. They trust each other, both being national athletes. They finally find the clue and they find the Detour. In Stamp It, teams will head to the Ruins of St. Paul’s to collect a blank scroll. They will then search for six shrines nearby, each with a different Chinese Good Fortune emblem which they must stamp on their scroll. 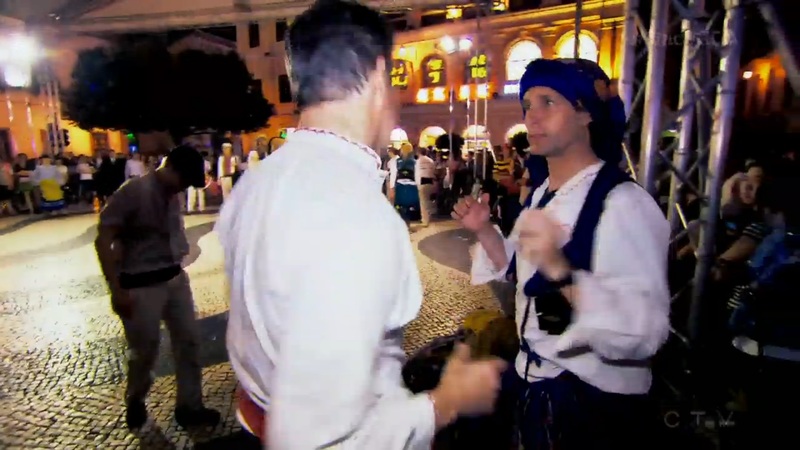 In Stomp It, teams head to Senado Square, don Portuguese costumes and perform a traditional Macanese folk dance. Both Natalie & Meaghan and Pierre & Michel choose Stomp It. The twins ask for the Express Pass and the Olympians say they are considering it. Pierre & Michel say in their confessional, if Natalie & Meaghan don’t give them the Express Pass before the end of the Leg, they will be U-Turned. Meaghan is nervous about her being sucky at dancing while the twins are their usual ruffled French-speaking selves trying to get the hang of the dance. Natalie insists they try it out and they go, but they also get the thumbs down. While Sukhi & Jinder walk right past the clue box at the almond biscuit shop, Ryan & Rob and Cormac & Nicole head to the Stomp It Detour. Meaghan doesn’t like to learn in the circle even as Natalie believes they can learn more by trying it out. On their 3rd attempt, they get the thumbs up and they head to the Grand Lapa Hotel and learn how to play Fan-Tan by observing a game in progress. Once they’re able to get the hang of the game and satisfy the pit boss, they’ll get the next clue. Sukhi & Jinder and Mickey & Pete still haven’t found the almond shop and they try to ask Rex & Bob who don’t tell them anything. Jinder again walks by the clue box, but they just leave until Mickey & Pete are the ones who find it later. Alain & Audrey also miss the cluebox on first look. 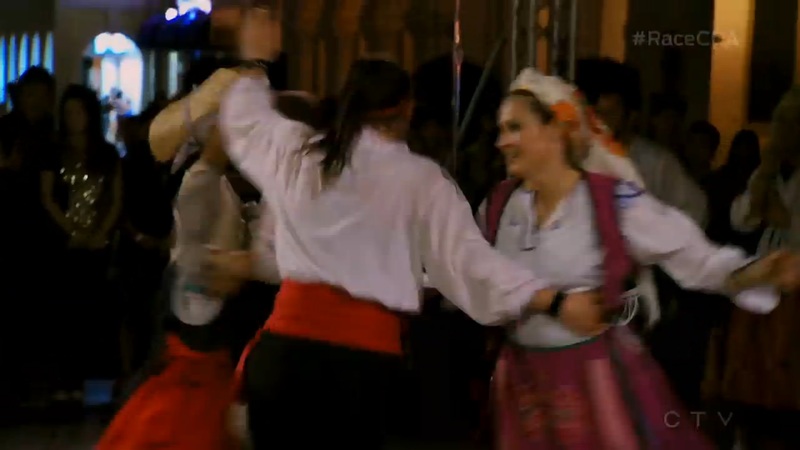 Pierre & Michel get the dance on their 6th attempt and head to try and catch up to the Olympians. Sukhi & Jinder and Mickey & Pete watch Cormac & Nicole attempting the dancing and they decide to just switch Detours. Alain & Audrey arrive and decide it might be better to do the stamps as well. Ryan & Rob get the dance on the 3rd attempt and are off. Rex & Bob get it on their 4th attempt. That leaves Cormac & Nicole alone at the dancing, but they get the thumbs up on their 6th attempt. Natalie & Meaghan finally understand Fan-Tan and get the next clue telling them to navigate Macau’s underground paths starting at the Hotel Lisboa to find a hidden entrance to the Plaza de Ferreira do Amaral near the Grand Lisboa Hotel, the Pit Stop for this Leg of the Race. Meanwhile, Mickey & Pete, Sukhi & Jinder and Alain & Audrey finish their Detour and head to the Fan-Tan. All the teams are there. Sukhi & Jinder are lost and try to ask others for help. Natalie & Meaghan finally find Jon and they officially claim their 4th first place out of 4 Legs of the Race. They win a trip onboard Air Canada’s new Dreamliner to Tokyo and also $3000. Ryan & Rob settle for 2nd. At the Fan-Tan, Rex & Bob figure it out, while also helping Alain & Audrey and they are off, followed by Cormac & Nicole. Rex & Bob finish 3rd and Cormac & Nicole take 4th. Pierre & Michel leave next and find Jon in 5th. Mickey & Pete take 6th. Sukhi & Jinder try to ask Alain & Audrey for a clue, but as the last teams, Audrey says No Way. The couple gets the thumbs up and they leave. After 5 minutes, Sukhi & Jinder finally finish and they hurry to find a taxi. It’s a foot race, but Alain & Audrey finish 7th. Sukhi & Jinder are in last place, but Jon tells them this is a Non-Elimination Leg. A very exciting and another full episode and Leg. Again, it is awesome for TARC to head out of Canada. Kinda sad they’re heading back next week, but Air Canada limitations I guess. The ferry separation was unnecessary. But the firecracker task was good. The Road Block was fine and the Detour equally balanced. That cluebox in the random almond shop though was tricky hilarious. And that Fan-Tan… don’t even ask me to explain it. I have no idea. It was great to set-up the Leg to be run at night in Macau. Just like having the TAR24 final Leg should’ve been awesome in Las Vegas at night, but when you have horrible tasks and two horrible teams, well, then that’s a waste. A great, solid, exciting episode. Though I must say, I’m starting to definitely form my opinions on the teams. Sukhi & Jinder are absolutely hilarious. They’re not that dumb, as they’ve shown in the previous Legs. But seeing their desperation this Leg coupled with their cluebox tunnelvision was hilarious to watch. I definitely am happy this was a Non-Elimination Leg and I hope they can recover fast. I need more Alain & Audrey French meltdowns! That is when they are most fun and enjoyable. A team winning four Legs in a row, especially the first four Legs would really be annoying and upsetting most of the time, but Natalie & Meaghan are really working for those wins. And they are still great personalities, especially now with them being frazzled and tense this episode. Makes the competition more interesting if the dominant team isn’t some absolutely perfect team. Mickey & Pete continue to be a fun team. I’m going to need more French scheming from Pierre & Michel. And Rex & Bob were okay. Cormac & Nicole were fine as well, though they are steering a little too close to Dave & Connor’s exposition habit. Too much talking and commentary over no action. And Ryan & Rob are still pretty bland. 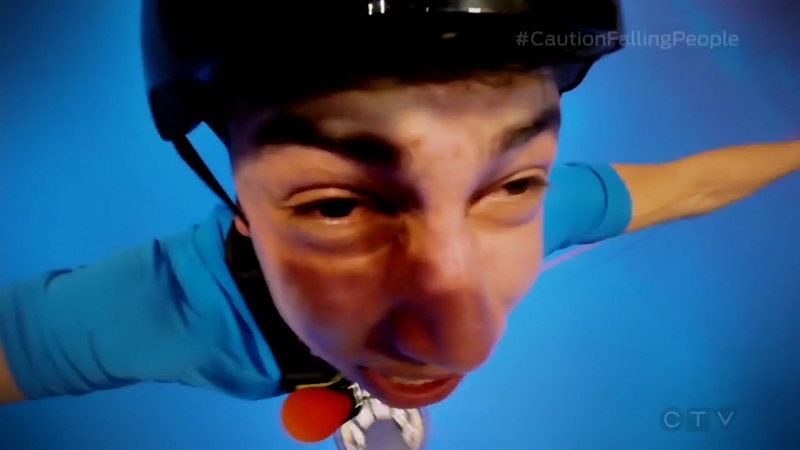 It’s funny that you mentioned the Amazing Race 24 finale on this recap, this Amazing Race Canada night leg was solid for the most part. What do you think of the upcoming premieres for TAR Australia vs. New Zealand and the original coming in September? I’m excited about the TARAu premiere next week. Hope it’ll be just as good as the first two TARAus. As for TAR25, I KNOW it will be better than TAR24, but I’m still cautiously optimistic about whether or not it’ll be better than any recent TARUS season. If they haven’t really cleaned some things up that have made TARUS so bland and boring (or downright horrible) these last few years, then I dunno. =( I hope they’ve made some tweaks though. 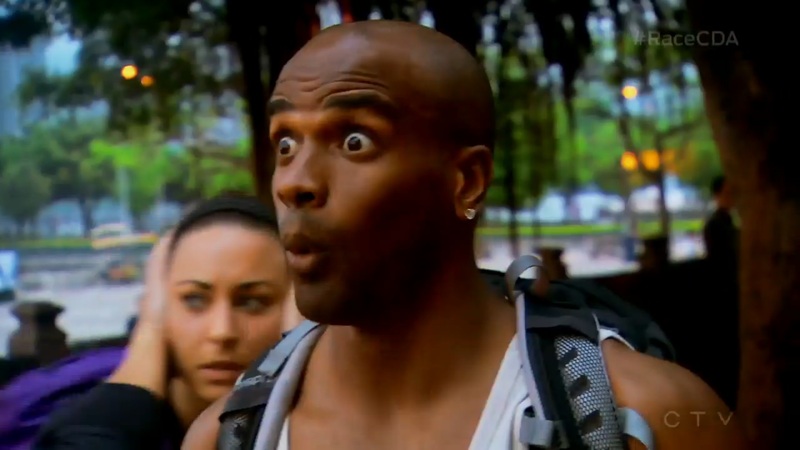 Yeah, I read some comments on TAR’s Facebook page and the Season 25 cast is young with the rumour that every team is under 40, which shows a lack of diversity 🙁 Judging by the teams revealed at the NYC start line, The Amazing Race 25 cast is quite similar to the group of teams in Seasons 6 and 23, with some good-looking people in both of those races. Why does TAR US not want to cast people in the 50-60+ age group? I bet those old people would never whine like Dave did in 24. 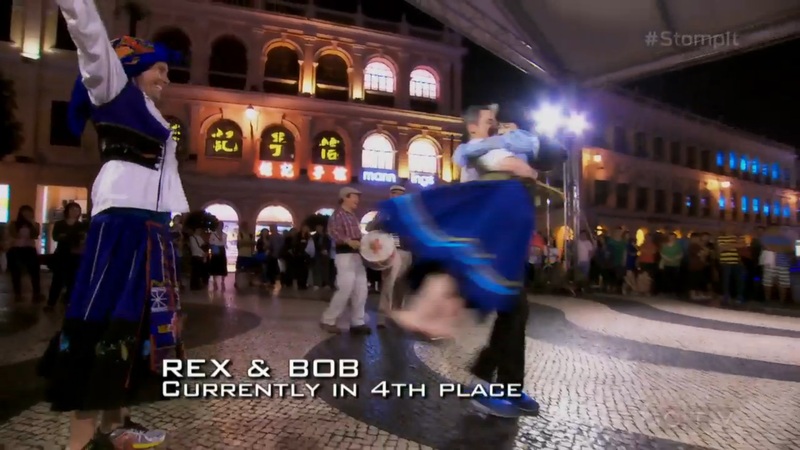 The current TAR Canada season has some teams over 40, with Rex & Bob being the oldest contestants at 51 and 47 respectively, and the twin brothers Pierre & Michel at 42. Yeah I agree. Have you heard of the TAR casting directors actively looking for ONLY dating couples this past month for I’m assuming TAR26? It’s actually a little worrying. Either they have plenty of great other teams (married, siblings, friends) and they just didn’t find any good dating couples to fill 1 or 2 slots OR… and this is the worrying part, they are going to STACK TAR26 with dating couples or even worse, do some kind of strange gimmick using dating couples ONLY. Eeek. I definitely hope not. TAR Canada has a good diversity in its cast I think. Both with age and personalities (and of course hometowns/provinces). I really have no idea why TARUS’ casting has been so lackluster these last few years.